It doesn't get much more traditional than Red Green and Gold at Christmas time. 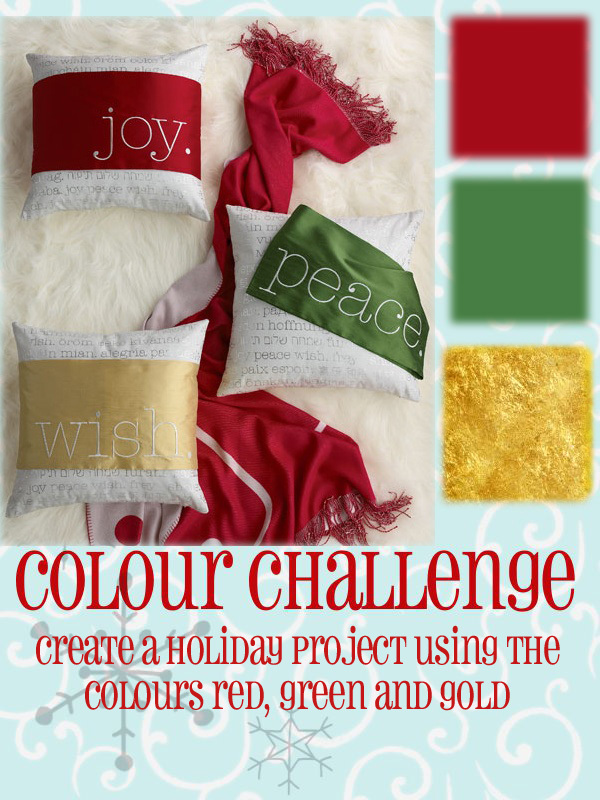 And that's the current colour challenge at Festive Friday. This card is assymetrical - the interior panel has "Merry" from Classic Christmas (retired). 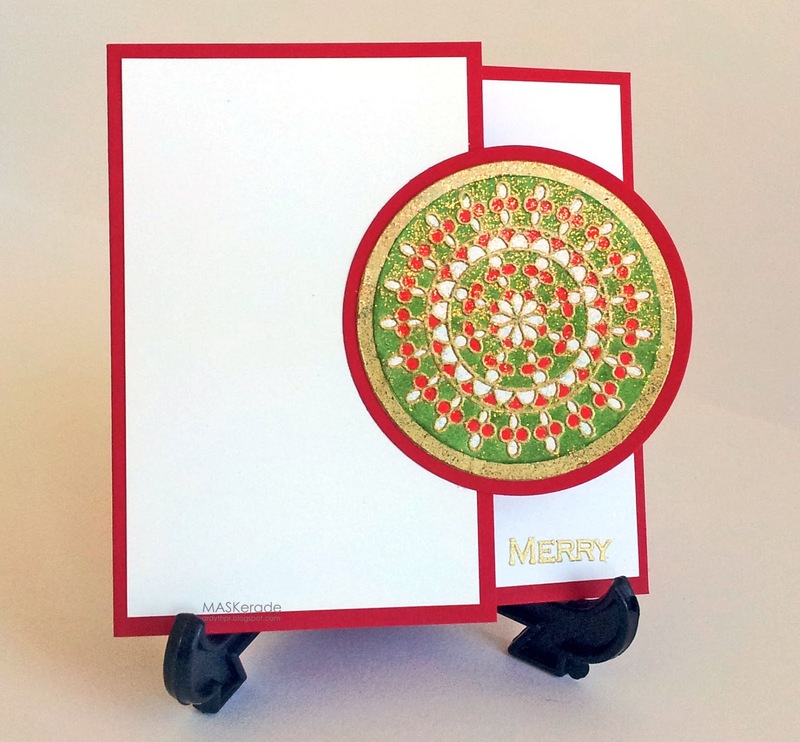 The front of the card is cut one inch shorter, so that the medallion overhangs to the edge of the bottom of the card. I love this multicultural feel of this - an Indian Christmas wreath! There's one more week to play along with this Festive Friday challenge - I hope you'll get a chance to join us! I opened this and at first glance I said "OOOOOOHHH AHhhhhhhh! " Brilliance, vibrant, and so WOW! That is lack for a better word. Wow, so very striking but subtle. Gorgeous...the gold embossing is stunning. East meets West! Love this oriental Christmas card! Now that's impressive!! At first I thought it was a gate fold, but I like this even better. I agree with the rest of the bunch...this is just amazing. So beautiful, classy and very elegant! Love the rich golden tones! Another ..... oh my goodness! I love the offset front panel and how the medallion hangs over the edge. Awesome job with the sparkles, which i think show up just fine in the photo. You have taken a totally non-traditional element and made it all about Christmas. Now that's what I call versatile use crafting supplies! This is so elegant, Ardyth! Love it! Thanks for the tip about this challenge. It slipped by me! ok this card captured my Indian heart... I immediately thought wow how indian before I even read the post! Love your use of the medallion to make a wreath.